OMG! 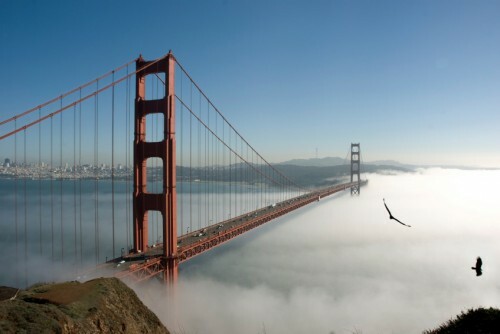 Flights from Europe to San Francisco, Los Angeles, New York, Toronto or Miami for only $55! UPDATE 27.6.: WOW Air launched another sale and offers crazy cheap flights from USA to Europe for only $89 / €89 one-way! Travel dates are from July to September 2017, plenty of dates avaialble. Example routes San Francisco-London/Berlin/Dublin/Copenhagen, Los Angeles-Dublin/London, Chicago-Brussels/Edinburgh/Dublin/Frankfurt/Lyon, Miami-Brussels/Frankfurt/Dublin, Washington-Dublin and many more! Flights from Europe to USA are available from €139. Hurry up and book your super cheap ticket! Screenshot here. WOW Air did it again! You can buy now crazy cheap one-way flight tickets between Europe and the USA/Canada for insanely low price of just $55 (and €55-€65 for other direction)! This means you can get return flight for around €100 from Europe to the West Coast of USA or Canada!!! Travel dates are in June 2016, which means perfect weather in sunny California or Florida. Only small cabin luggage is included though, you have to pay extra fee for big cabin luggage or classic check-in luggage. There’s no food or cabin entertainment provided onboard WOW Air flights, but it is perfectly fine if you prepare your own snack and take a tablet, laptop or book with you. We actually just returned from WOW Air’s flight from San Francisco to London and it was just great. There is always 1 short stopover in Reykjavik. We recommend to buy the tickets as 2 separate one-way tickets, you can also use it to book different arrival and departure airport (e.g. London-San Francisco / Los Angeles-London). There are just few seats left and demand is HUGE so you need to be super fast, this will be gone in few minutes! You can also view all available dates and book directly through WOW Air. Hurry up and fly cheap with RushFlights and WOW Air! « WOW! Cheap flights to Canada: Vancouver, Calgary & Edmonton for only €266!